A new decision from the National Labor Relations Board (NLRB) is seen as friendly to organizations using a business model that relies on independent contractors and provides considerable clarity on the NLRB’s thinking on this complex issue. In announcing a decision in the SuperShuttle DFW, Inc. case on January 25, the Board returned to its former independent contractor standard, which reaffirms its adherence to the traditional common-law test used to classify workers as either employees or independent contractors. 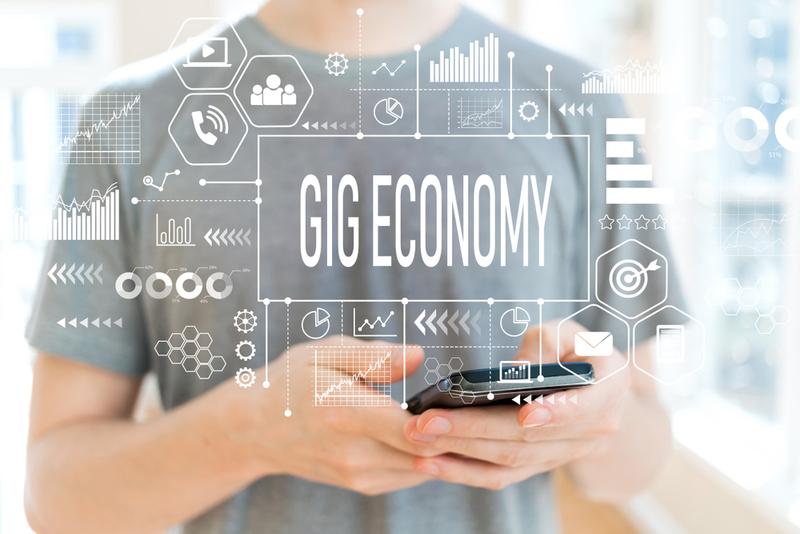 The new decision clarified and emphasized the role entrepreneurial opportunity plays in the determination of independent contractor status. The case involved shuttle driver franchisees of SuperShuttle at Dallas-Fort Worth Airport, and it overrules FedEx Home Delivery. In that 2014 NLRB decision, the Board modified the test for determining independent contractor status by focusing on elements of control and limiting the significance of a worker’s entrepreneurial opportunity for economic gain. The NLRB concluded that the SuperShuttle franchisees aren’t statutory employees under the National Labor Relations Act (NLRA), but instead they are independent contractors excluded from the Act’s coverage. To determine the workers’ status, the Board applied the “common-law agency test,” which includes considering the extent of control an organization has over workers. The Board found the SuperShuttle franchisees enjoyed significant entrepreneurial opportunity for economic gain as well as “nearly unfettered control” over how they performed their work. The new decision emphasizes both entrepreneurial opportunity and the amount of control a company has over workers. Philip R. Bruce, an attorney with the McAfee & Taft law firm in Oklahoma City, says the NLRB explained that entrepreneurial opportunity is more of a “guiding principle by which to analyze all the factors” the Board looks at in analyzing independent contractor status. In addition to entrepreneurial opportunity, the amount of control a company has over workers is still a factor to be considered. Deciding whether workers should be classified as independent contractors or employees should be considered as part of a larger issue that also includes what standard should be used to determine joint employment of workers, Burton Fishman, an attorney with Fortney & Scott, LLC, in Washington, D.C., says. Worker classification and joint employment are related, especially considering that common-law agency principles are fundamental to both. He says those principles are crucial to continuing disputes involving “gig economy” companies, such as Uber and Lyft, which continue to defend the position that their workers are properly classified as independent contractors. Fishman says the SuperShuttle decision will help businesses using the independent contractor model if they’re ever faced with a unionization effort. He says entrepreneurial opportunity, which is what independent contractors have that employees don’t, was given “short shrift” in the FedEx decision. The re-emphasis on entrepreneurial opportunity in the new decision is significant and will be of assistance to many contemporary businesses, he says. Bruce notes the common misconception that the NLRB has jurisdiction only over unionized companies. Actually, the NLRA applies to all companies even if they aren’t yet unionized. So, the new decision applies to all companies with a workforce that could try to unionize. Fishman also says the decision has real significance for entities such as Uber that have groups of workers who may try to unionize. The new decision supports the company’s position instead of the workers’. Bruce also points out that whether a worker is correctly classified as an independent contractor is fact-intensive and affects many areas of employment law. Fishman, a frequent contributor to Federal Employment Law Insider, also urges companies using independent contractors to make sure their workers are truly independent. He says the argument can be made that if a worker is working for a single entity, the worker may not really have independence. In the SuperShuttle decision, the Board said there was enough independence, but that may not be enough for a future Board. “One of the things we’re reminded of is the NLRB is one of the most, if not the most, politicized arms of any administration,” Fishman says. “There is no hesitation about changing precedents” to match the current political policy. He says the political nature of the Board diminishes its authority, since both employers and employees always wonder if a decision is going to be flipped when the Board makeup changes with a new administration.